...as a preferred walk on. Not ideal but it will at least give us another arm in practice. It is ideal if it doesn't take up a scholarship. Holl was amazingly productive in HS, but at a lower level. three things I got from those highlights: kid has a decent arm, he can throw on the run an he has some gaudy SAT and ACT scores. 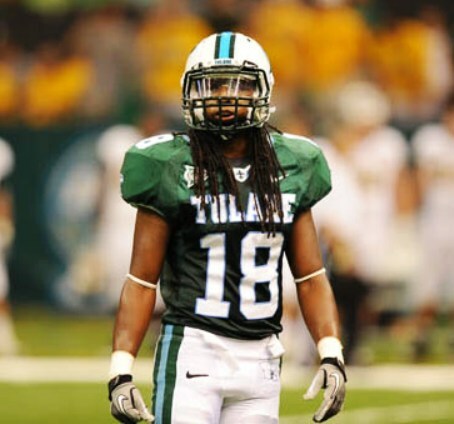 Welcome to the Tulane Family Josh. if his scores are that good, is it possible he is on an academic ride? Looks good on the highlights. Would love to see him run. Love his high school's offense. Very productive in high school. He's got some developing to do, but you get him in here with a good strength and conditioning coach and let him get stronger and faster. If he does, great. If he doesn't, he can still be a valuable member of our team in other ways. Welcome aboard, Josh. Wasn't the Oklahoma (and Heisman winner) quarterback a PWO? Was Baker Mayfield the Oklahoma QB and Heisman winner when he walked on at Texas Tech? No! Way to unravel that mystery! Guessing the relevant point here is how he entered college, not whether he eventually transferred, won the Heisman, and/or earned a scholarship.